If you’ve logged into your Netflix account recently or scrolled through your Twitter feed, you’ve most likely seen a trailer for a true crime film or tweets about Zac Efron’s portrayal of Ted Bundy. But this isn’t anything new. The intense fascination with true crime has always been there. Whether that be in the form of a podcast à la Serial or numerous books on serial killers such as Manson, Bundy, and Dahmer; killers and criminals are given immortality through all forms of media. When it comes to true crime, I, too, fall trap to and feel sucked into the intense world of the subject. Sometimes there’s even the inexplicable feeling of rooting for them to evade the police before you realise what that really means. You instantly shove those feelings out of your mind and think to yourself, “no, this guy is truly evil. I can’t feel sorry for him.” But that’s the thing, so many people do, and that’s ok… to an extent. Films often transport you into the world of the subject, even true crime films. You can’t help but feel enthralled by the dark turns the character takes during the narrative. As a filmmaker, it’s ok to dramatise the events, but there’s a difference between wanting to create that entranced feeling and glorifying the subject. This issue has been brought up recently with the Sundance premiere of “Extremely Wicked, Shockingly Evil and Vile,” a biopic of Ted Bundy. The film has drawn many polarising reviews since its appearance at the festival. Its trailer, filled with grinning heartthrob, Zac Efron, and energetic rock music is also an extreme departure from what you might expect for a film about a serial killer. Critics say that the tone of the film doesn’t match the dark subject matter. According to Variety’s Owen Gleiberman, “the movie is compartmentalizing Bundy’s evil by focusing on Bundy’s human side.” The film “can’t resist making Bundy look like a little bit of a rock star at times even though the movie purports to condemn him,” says The Playlist’s Rodrigo Perez. The film does nothing in terms of bringing new information to the table or telling it through a new lens. Instead of telling the story from the female perspective of Bundy’s long-time girlfriend, which is the argument made by the film’s director, Joe Berlinger, the film fails to do anything innovative. Taking the perspective of his girlfriend, Elizabeth Kloepfer, is “nothing more than disingenuous lip service perhaps to engender good will to savvy (and woke) audiences hoping to see some female agency (which the film does not deliver, though boy it does try all of sudden late in the game),” according to The Playlist. It’s not that attractive actors shouldn’t be cast as serial killers who were also considered good-looking. The issue is that there are implications that come with choosing to tell stories in a glamorised way – and society’s subsequent obsession with them – that raise ethical questions and concerns. “Who do we value more? The wise-cracking, ‘charming’, well-dressed, well-educated necrophiliac mass murderer? Or the young women?” asks Lucy Jones of The Independent. Judging by the recent news, films, and reactions, I’d say the former. People are entranced by good-looking people who do bad things. We are taught as children through media and stories that bad people are not supposed to look nice. As adults, we still somewhat hold on to this belief. We can’t seem to wrap our heads around the fact that beautiful people can do terrible things, so they fascinate us. One thing’s for sure, the obsession with true crime stories and serial killers doesn’t seem to be “dying” down anytime soon. Because of this, filmmakers must be careful when they choose to tell the stories of serial killers. They have to understand that the people in these stories are real, which means their victims are too. It brings up the issue of responsible filmmaking and how necessary it is to tell the stories of such terrible people. Of course, I don’t have the answer to this. Yes, responsibly told stories have value, especially when they bring to light new evidence and information. Yes, the stories are a reflection of the people they portray, not the other way around. But ultimately, filmmakers and their audiences must realise that they are finding entertainment in what were some of the worst moments of people’s lives. While we as an audience can close our laptops and walk away from the tragedies we just experienced on the screens, the families of those who lived it don’t have that luxury. This is especially true when it comes to Bundy and “Extremely Wicked” as some of his victims’ loved ones are still alive. While we can fast forward through the gorier scenes that make us a bit too sick to our stomachs, they actually lived through them. If you’re interested in writing crime, be sure to sign up for our Crime Writing from the Trenches of Hollywood Masterclass. Special early bird offer! 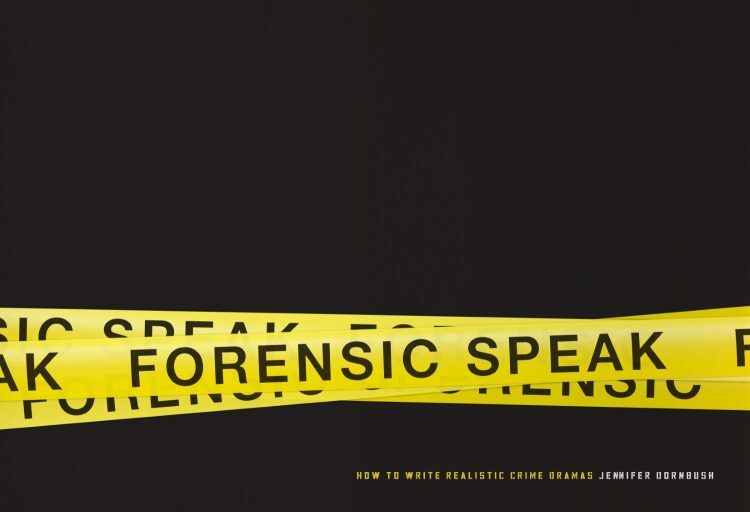 Book this class before June 1st, 2019 and get a copy of Jennifer’s book Forensic Speak: How to Write Realistic Crime Dramas worth £19.99 FREE. Read our review here! Erin.. outstanding insights on this subject. Sanctifying the evil doers while vilifying the innocents clouds the lines of a civil society. Thank you for highlighting this.